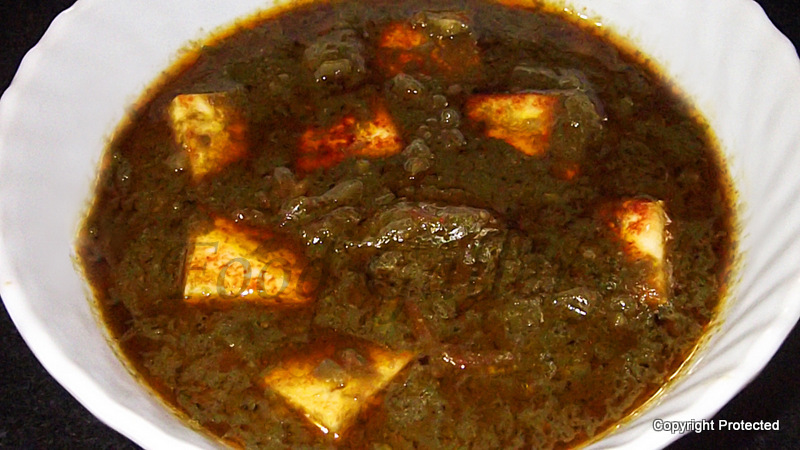 Another hot favorite, super healthy North Indian dish -- Palak Paneer. This great combo of greens and cheese is packed with nutrients. Its rich and creamy texture, flavor and taste makes it a delight to eat. 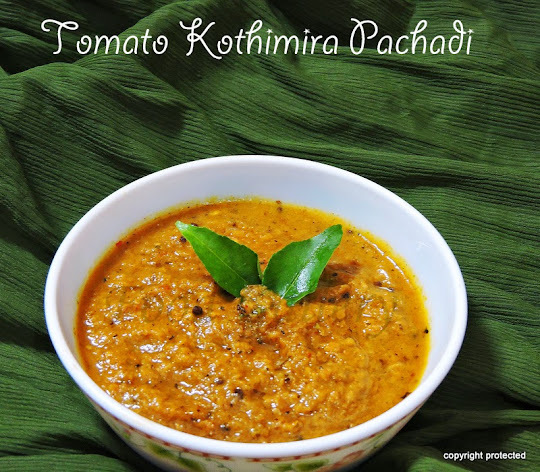 It is a great accompaniment with rotis, naan or plain hot rice. Palak / Spinach - 2 bunches. Cut the paneer into cubes and fry them in a tsp of ghee till they are light brown. 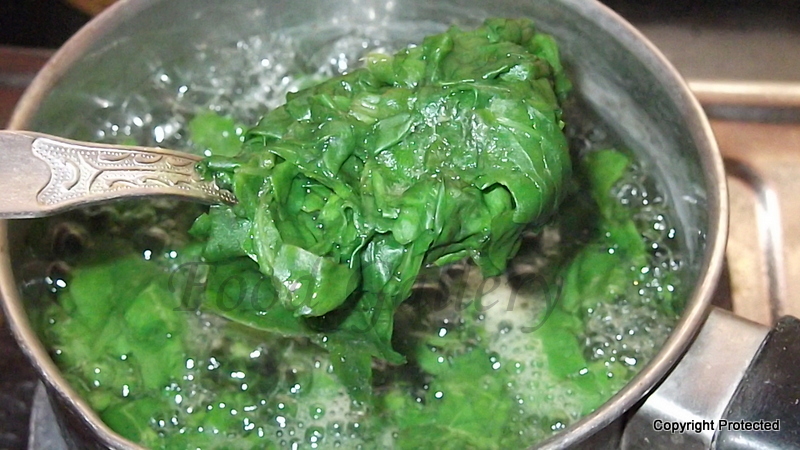 Take only the palak leaves and discard the stems, blanch them in hot water for about 3-4 minutes. Remove and let them cool. Make a paste of these leaves along with 2 green chillies and set aside. Heat oil in a kadai and add cumin seeds. Once they start spluttering, add onions and saute them till they are light brown. Add ginger paste, red chilli powder and coriander powder and mix well and fry for another 2 minutes. Add the tomatoes and let it cook for about 5 minutes. Add the palak paste and salt and mix well and let it cook for 5-7 minutes. 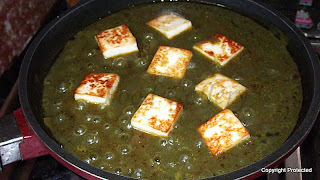 Add the fried paneer cubes and combine. Cook covered on low heat for 3 mts. Add malai, garam masala powder and kasuri methi and mix well, cover with a lid and cook for about 2-3 minutes. Then switch off and remove from fire. 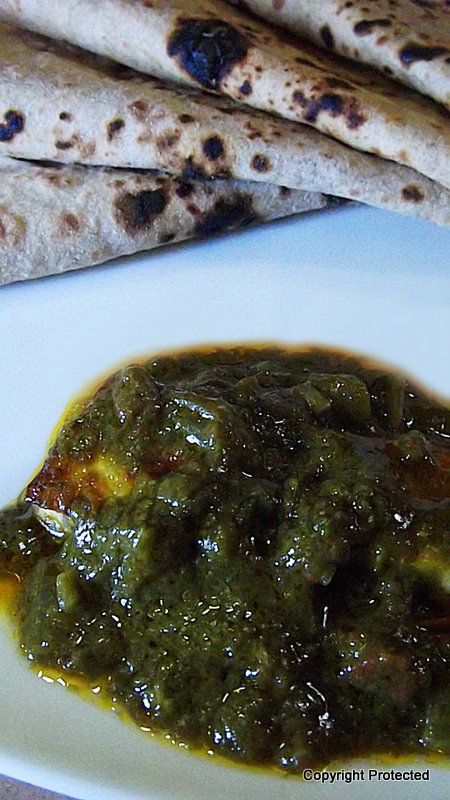 Serve hot with rotis, naan or plain hot rice.